Split restaurants are exciting. Anytime we travel south, we make a detour to Split just to try out another restaurant in Split. However, you need to know one thing about restaurant’s offer in Split (and elsewhere in Croatia): 90% of the Split restaurants serve the same menu. It is a grill, pizza, pasta or risotto. Full stop. For this reason, if you like to eat differently and well during your visit to Split (and Croatia in general), do your research beforehand. Every town has restaurants that are trying harder than others to stay true to themselves and their heritage, using local produce, serving traditional and regional dishes either in a fine dining manner or in a casual setting. Below is our list of Split restaurants not to miss on your next visit to Split. Zrno soli is a fine dining restaurant located in town's marina. Restaurant has a beautiful terrace overlooking the sea, boats in the marina and the town. The view over the lighted town is especially nice at nighttime. The food is fresh, well cooked, innovative, but it is not spectacular. However, it is a very good restaurant with beautiful views and friendly and efficient service. This is an upscale restaurant and the prices are high (as expected for such a place). This is one of the fine dining Split restaurants. Restaurant Dvot is located 20 minutes walk from the old town. Dvor has a beautiful outdoor garden seating with views over the sea. Make a reservation in advance to get one of their best tables. The restaurant has a stunning location, good food and attentive staff. Their meat and fish dishes are excellent, many are prepared on a charcoal grill, and they have very good desserts. The place is not cheap, but it is a good value for money. Restaurant Kadena is located in Zenta neighborghood. This is an upscale restaurant, serving Croatian classic dishes in an elegant way. From the outdoor terrace, Kadena offers wonderful views over the sea, and nearby islands of Brac and Solta. While we can only say the best things about Kadena's food and service, we find that the restaurant is rather too large for our taste. This family-run tavern is one of the most popular places to have seafood in and around Split. The seafood here is fresh, local, and simply as good as it gets. Food here is prepared in a simple way, so fish remains flavorful, and tender. A bit hard to find, and out of Split, in neighboring Stobrec, but well worth the trip. Tavern Fetivi (ex. Matejuska) is located close to the harbor. It's a small, family-run restaurant with great atmosphere and excellent food. The restaurant can accommodate approximately 30 people, half inside, and half at their outdoor terrace. Reservations are needed, especially during the summer. Tavern offers traditional regional dishes mostly based on a seafood, but they have meat dishes as well. Offer changes with the season. Food is prepared in a simple way. Everything served here is very fresh and tasty. Service is friendly and prices are affordable. House wine is cheap and of a good quality. It is one of the highly recommended Split restaurants. Villa Spiza is a tiny, charming restaurant located in a small alley in the old town. This little hole in the wall place could be a bit difficult to find, but don't just give up. If you get lost, just ask locals. There are only two tables for two outside and a counter seating for 7-8 inside. Counter seating inside has a direct views over the kitchen. The food is fresh and locally sourced. There is a daily menu based on what's available and fresh. If you are looking for a fine dining and intimate atmosphere, this is not a place for you. But if you like authentic, fresh and unpretentious food, prepared in a simple way, this is a place to choose. Prices are reasonable. Portions are a bit moderate, but it is still great value for money. This is one of the must visit Split restaurants. Tavern Kod Hvaranina is a shabby looking restaurant, just out of the Palace walls. Restaurant has a really weary look, but the food is very good. Besides, I like places with such an interior as they make me feel nostalgic, reminding me of some other times. It is a small, family-run restaurant, and you feel it. The service is really warm and welcoming. The food is homely, fresh and tasty. They serve a very good traditional baby beef stew with gnocchi (Cro. pasticada). Seafood served here comes from local fishermen. Prices are reasonable. Cash only. Uje Oil Bar is a tapas style restaurant, located at the heart of Split old town. It opened recently, in May 2013. The place has a very good vibe, friendly staff, tasty food, excellent choice of olive oils and wines. The food is served on wooden boards, and in a tinware. The warm dishes' menu is updated daily, while cold cuts, marinated fish, and a choice of olive oils are available daily. Prices are reasonable. Tavern Buffet Fife is located just outside the town walls and a 3-minute walk from the seafront promenade. This place is an institution for people of Split. It's been there for ages and locals love eating here. The restaurant is as authentic as it gets, and the prices are very affordable. It has a lively vibe, and sometimes grumpy staff, but it is all the part of the folklore. It is an excellent place to try local cuisine. Ingredients are fresh, locally sourced, and the portions are massive. This is one of Split restaurants where locals and tourists mingle together. Tavern Stare Grede is located 1 km from the old town. It is rustically decorated tavern, with rustic wooden benches and tables, and stone walls. This restaurant is very popular with locals. The place is family-run and the food is homemade. During the winter they often have game on menu, as the owner is a hunter. Everything is made from scratch and the produce is locally sourced. This lovely tavern with vaulted ceilings is located near Bacvice beach. It's offers a typical Dalmatian (Mediterranean) dishes, made of fresh, locally sourced ingredients. 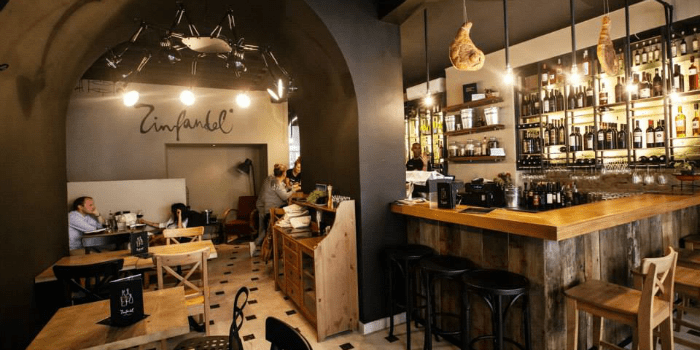 It's a real gem, and one of the rare places in Split where vegetarians (and even vegans) can indulge in more succulent and elaborate food (instead of eating side dishes in fish / meat focused restaurants). Menu changes seasonally. Opened in April 2015, Corto Maltese quickly gained regular patrons for its cozy interior, laid-back atmosphere, friendly stuff, great food, big portions, and affordable prices. Food is fresh and made on spot. Corto Maltese is more of a hang out place than your typical restaurant. It serves breakfast, lunch, and dinner, but you can also just pop up here for a coffee, or a local beer. Good value for money. Wine & Cheese Bar Paradox is the the most popular Split restaurant on Tripadvisor. This is not a full-service restaurant. It is a wine & cheese bar, offering over 100 wine labels (many of them served by glass) and choice of small bites (cheese, prosciutto, olives, etc.). It is well located, just few minutes walk from the Palace. Staff is very knowledgeable and eager to help you to choose food and pairing wines. This is very helpful, especially if you are not familiar with Croatian wines. It can be crowded on summer evenings, especially over the weekend. Food & Wine Bar Zinfandel is located in the old part of Split. The place is modern and chic. Design is contemporary with brick walls and big floor to ceiling windows that can open completely. Zinfandel has over 100 international and Croatian wines on offer, as well as wide choice of seasonal tapas and cold platters. Look for their lunch time specials when you get a free glass of house wine with food, or sometimes they just put all the items on the menu at the half price. Bokeria is a new star on Split's restaurants sky. 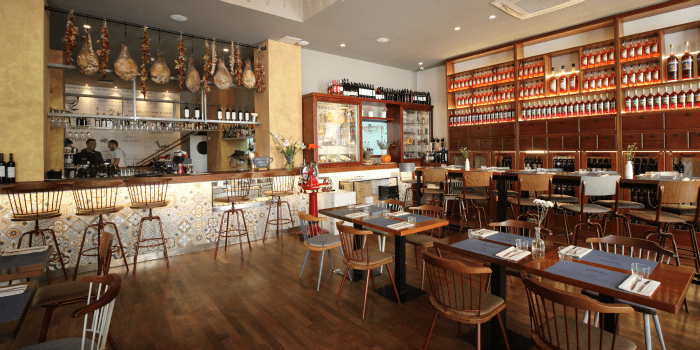 Open in 2015, the owners of this place were inspired by Barcelona's famed market – La Boqueira. This is the exact vibe they created in their restaurant in Split. Two-story interior is beautifully decorated, modern and airy. The menu includes a selection of Croatian tapas-style dishes, but also full meals. Menu changes seasonally. Excellent choice of Croatian wines! Rizzo has been serving sandwiches in Split since 1992, and today it has four locations in Split. They have a great homemade bread (secret of a good sandwich is in a good bread), and a variety of subway style sandwiches, as well as bruschettas. Sandwiches come in two sizes: big, and small. Prices vary from 12 to 20 kn depending on stuffing. You can also choose extra ingredients for additional 2 kn per ingredient. A no-frill grab-and-go kind of place serving good old greasy full-of-carb food, like fried calamari, pizza, cevapi (sausage-shaped grilled minced meat), pljeskavica (Balkan-style patties), soparnik (Swiss chard pie), and alike. Great place if you feel like having a bite on the go, getting full quickly for very little money. Tavern Tri Volta (Zalogajnica Dioklecijan) is a truly special place for people of Split. This restaurant has been here for 40 years. There is no fancy signs, and very few tourist come in. The place is not decorated in a fashionable way. Crowd is mixed, young and old, many people know each other, and the atmosphere is convivial. Food is honest, homemade, it is an excellent place to taste a working class Dalmatian plates. I love this place and the story about it. For those of you who understand Croatian, there is an excellent interview with the owner of the restaurant in Slobodna Dalmacija. Restaurant Makrovega is the only fully vegetarian restaurant in Split. Since there are plenty of vegetarians visiting Split, I think it is important to list it here. Although it wouldn't be my first choice. They offer snacks and sandwiches, as well as daily buffet. Kantun Paulina, located in Varos neighborhood, is a take-away joint, serving the best cevapi in Split for over 37 years. They also serve other fast food like beef patties, and grilled chicken breasts. It's cheap. There is always a queue (should be a good sign!). Have you eaten in any of Split restaurants? What kind of restaurants do you choose when visiting a new place? Let us know in the comments below. Glad you found it useful, Chris! Did you go back? I will be sailing through the Dalmatian Islands on the first week of July – we are a group of 8 – and we will have one late dinner (after 22:30) at the arrival day and a lunch the next day in Split. late night dinner should definitely be arranged in advance. Most restaurants keeps kitchen open until 23 (while dining room works longer). It all depends what you look for. My favorite fish restaurant in and around Split is Nikola in Stobrec (although not cheap, it is a good value for money). Other places to consider: Konoba Fetivi, Pimpinella, Uje Oil Bar, Matoni. Hope this helps! Enjoy it! Thanks! Glad to hear you enjoyed it. I’ll be using your recommendations. We’re in Split now and will be here for the next 6 weeks. Plenty of time to try out all these restaurants.And you mention the Trg Sperun area – that’s exactly our spot! Will let you know if we come across anything we can recommend. We’ve tried Dvor and Uje Oil Bar when we were in Split and we loved both of them! There are so many great places to eat out in that town, your guide will certainly be useful for a lot of travellers! Thanks so much Fred! So glad that you loved Uje and Dvor. But, like you said, there are so many great places to eat in Split. Sometimes it’s difficult to decide where to go :). Great guide! I need to get myself to Split it seems. So many fantastic opportunities for food. Oh we had some great meals in Split. It’s probably my fondest memory of the town actually. Although I can’t remember every place we tried I do remember Tavern Buffet Fife – SO GOOD! This looks like a great list – and clearly well researched. I only wish we had an opportunity to try some of your recommendations! I ADORE Villa Spiza. I have been a few times and I think I ate some of the best food of my life there 🙂 I love it how the menu is handwritten and simply pulled out of a spiral notebook! One of Frank’s reviews alerted me to Fife and it was also recommended in my Lonely Planet guide to Croatia, too. Sadly, not enough time to locate Zinfandel or Paradox, but should I ever be in the fine city again, ………. Thanks for the recommendation Frank. A great Roundup of restaurants! Pizza, pasta, say no more – I’m sold! I love that there is an emphasis on fresh, local ingredients! How interesting that most of the places serve the same menu. Since we’re traveling with kids, we tend to go to the more relaxed and loud restaurants. I think Villa Spiza sounds very interesting, and I am intrigued by serving food on a wood board as they do at Uje Oil Bar. Looks like a great list of restaurants for someone visiting Split! Posts like this are super helpful once you get to a city. I know who’s blog to keep close by when we get to Croatia. We are on our way there in the next year or so. I don’t think we’ll get further than Sicily. I just love being part of Sunday Traveler. Maybe my blog can find some direction now. Not that I want to live and write in a box. My boat’s a bit bigger than a box mind you. So maybe I’m live in a big box that floats. Patricia, let us know if you visit Croatia. It’s a sailing paradise, and I sure hope you’ll experience it for yourself. We dream of living on a boat. Seriously! Since we still hold a full time job, the only condition would be to remain working somewhere along the coast. Not such a hard thing to commit to :). Fair winds! Wow! with food like that, I’d never leave. Lol, Maria! We’ve got the same problem :). Thanks for stopping by. I’ll have to tuck this one away as I have a friend who has offered me a stay at her Split apartment. I seek out eateries that make simple regional food well whether that’s a small family run place in a back alley or a high end restaurant. That cheese plate looks divine. What is hanging from the ceiling at Zinfandel? I ate at a place in Spain that had legs of ham hanging in a similar fashion, but not sure if that’s what they are. Given what you say about the typical menus in Split, this is a really handy list to ensure better meals. I wish I’d had this list last summer when I was in Split, as it’s true most places seemed to serve the same thing. What a great rundown of places to eat in Split. Really makes me want to go and visit, I like the sound of Dvor and Tavern Tri Volta especially. Thanks for more great Croatia tips! Thanks, Bron! Croatia is really worth a visit. My husband and me are going to Split in a few weeks. I am vegetarian and not having been to Croatia before, wondered what is on offer for veggies? Next time when you arrive in Split, tray sea food restaurant /konoba Nikola(Stobrec) this is just few km out of Split,100% fresh daily see food. Restaurant has just 6, 7 tables and food is amazing. Price similar with Zrno Soli. thanks for stopping by and for the heads up! Konoba Nikola in Stobrec sounds like a place I could really enjoy. Love small restaurants ising fresh produce. Will check it up for sure. Thanks again! went to Tavern Fife this summer on recommendation locals at the tourist office. Thanks for your comment! I find that Split restaurant scene improved a lot in the last years. Split is quickly becoming really exciting tourist destination. We traveled to Split in October this year and our Airbnb hosts recommended Tavern Fife, I agree with Our Adventure in Croatia…great atmosphere and food, we were not rushed either, and enjoyed the company of the other guests at the table we were sat at. We liked it so much we ate there 3 times during our stay! I highly recommend their specialty Pasticada with the Gnocci, excellent. Hi Joyce, thanks so much for stopping by and for your comment. Seems like tavern Fife is coming up to be a number one place to eat in Split. Have you visited any other restaurant in Split? Nice selection of new and old there. I’d also add Konoba Marjan to the list (at Senjska,1 – just off Trg Sperun at the west end of the Riva). It’s another family run place and the fish is really superb as is their Pasticada. That whole area around Trg Sperun has become the restaurant district of Split (Matejuska and Hvaranin that you mentioned are also there, along with at least half a dozen others), which is great for us as we live just up the road! I’m glad you found some of the more tucked away gems like Villa Spiza, Tri Volta and Makrovega. They are worth searching for. 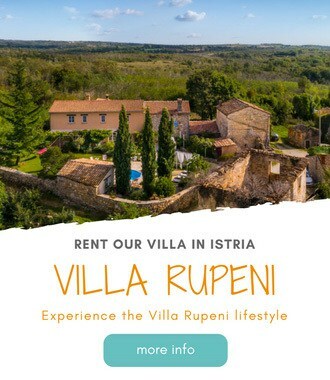 Villa Spiza has a great feel and superb home cooked food – but get there early if you want the best choice because ‘when it’s gone, it’s gone’. Tri Volta is an institution and there’s nothing better than whiling away an afternoon looking out towards Brac from their terrace while watching lost tourists ambling by. And it’s even worth carnivores trying the veggie stuff at Makrovega – I have and I must say it was really tasty. The set menus are very good value there as well. Hi guys, thanks for stopping by. I really like that area around Trg Sperun. And thanks for heads up on Konoba Marjan. I’ll need to try it out on my next visit to Split.